The wait is finally over folks! 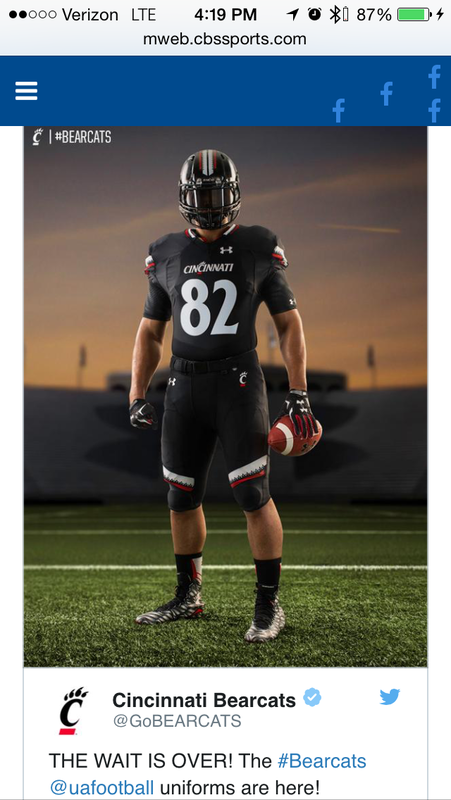 Here is the first look at the brand-spanking-new University of Cincinnati football black home jerseys created by Under Armour. It remains to be seen what these bad boys will look like in action on game day. However, at first glance these jerseys are pretty sick! The “Cincinnati stripe” is inspired by the Clifton campus architecture, including the triangular windows of the Richard E. Lindner Center. The new gloves and helmet also include the same stripe to tie everything together. I also like the cleats. 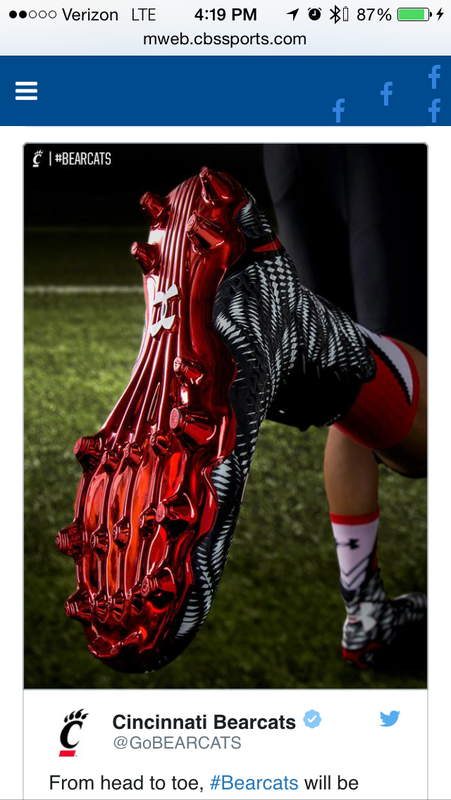 The bottom of the new cleats almost appears to glow red. The unique white and black design is flashy, but not over the top. The new jerseys are built with Armourgrid technology, inspired by the engineering in reinforced concrete. Needless to say these things won’t tear or rip. The uniforms really aren’t that big of a change from the Adidas uniforms last year. Essentially, the claw marks are replaced by the stripe. 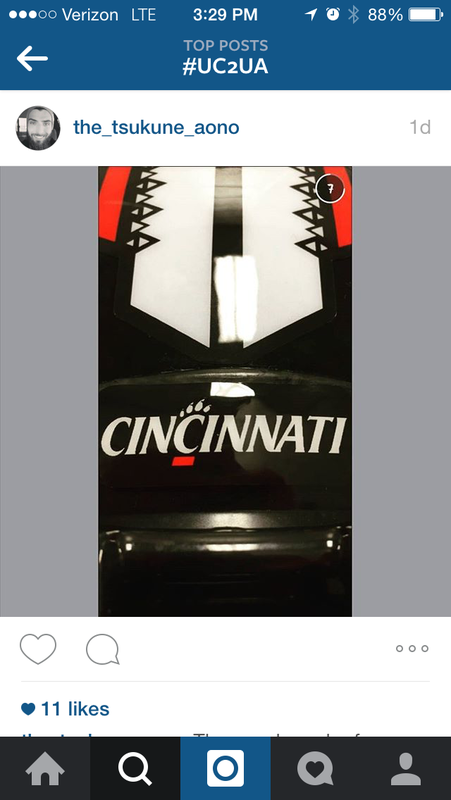 Instead of the rough paint line on the helmet, Under Armour is using the stripe down the middle. The school has only released the home black uniforms. It remains to be seen what the white away jerseys will look like, and whether any other helmets or alternate jerseys will be offered. We are certainly pleased Under Armour did not go over-the-top with the UC design like they did for their home state Maryland Terrapins. Likewise, these jerseys are a lot cooler than the blank boring South Carolina Gamecock rendition. 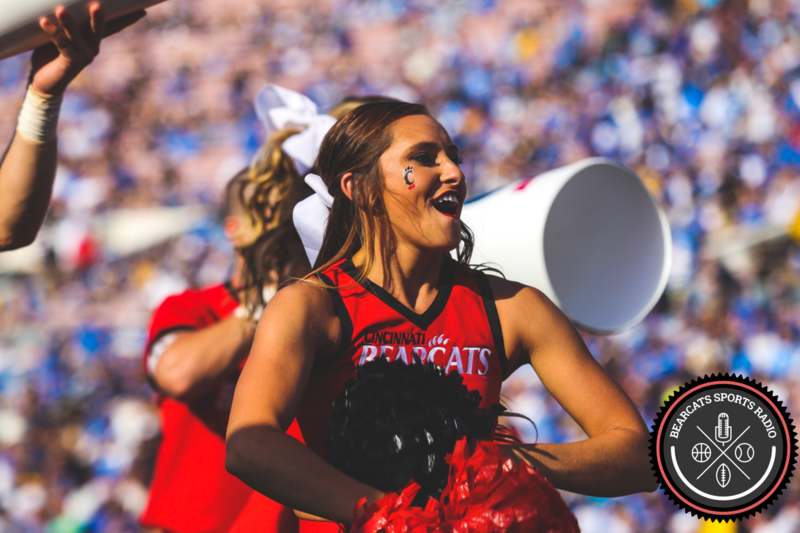 We can only hope Under Armour is also releasing a more authentic version of the jersey for UC fans compared to the barebones Adidas “replica” jerseys. Stay tuned as more Under Armour designs and additional information regarding the science and background of the materials and fabric are released!